In their second year hosting the Made In The Midlands Young Inventors Panel, Central College Nottingham are sending two of their brightest engineers to the annual MIM awards event in October. 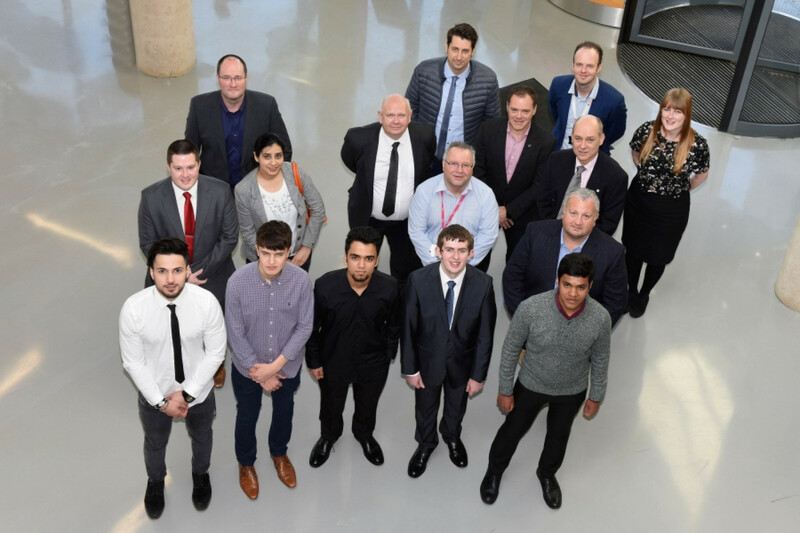 Brightson Xaviour Kalavilasam and Joseph Fitch were two of five students to take part in this years event, where they presented individual projects to a panel of manufacturing experts. Both students delivered robotic themed products and managed to impress the judges with their imagination and design, amongst other skills, earning them a place at the awards event. Each year, Made In The Midlands holds a series of panelled presentations across local colleges in the Midlands. The aim of these presentations is to encourage young engineers to showcase their abilities and gain valuable feedback from a panel of local manufacturing directors. The winner of each college is then shortlisted for the Made In The Midlands Young Inventor Award. The other three students to take part in the event were Jalil Mohammed Zadeh, Bashir Elier and Maxwell Leech, who presented a mix of robotic and machining projects to the judges. John Wright goes on to say, This year was the second year that we took part in the Young Inventor competition with Made in the Midlands and again we have seen positive benefits from working with a professional organisation who have been keen to put bright students and real managers together to show that we really have a bright future ahead of us. Last years Young Inventor award saw Central College Nottingham claim top spot, with their young engineer going on to take an apprenticeship at R A Labone, one of the panellists at the time. Both panels presented a vast pool of expertise from a range of engineering backgrounds, providing a rich source of feedback for the students to absorb. Charles Addison, Director of Made in the Midlands overseeing the judging process commented; "We were very pleased with this year's entrants from Central, as always the judging process is very difficult due to the high quality of the students. Its fascinating to see the manufacturer's apply real world logic and views to the presentations which provides valuable insight to the College and students alike." The two finalists from the College will progress to compete with finalists from other Colleges in the Midlands, culminating in the presentation of the final Award in Birmingham in October, presented by MHA Macintyre Hudson.